It’s rough being a single gal who cooks her own food. I mean, I could make it easy and just do take away, but that costs money and calories. 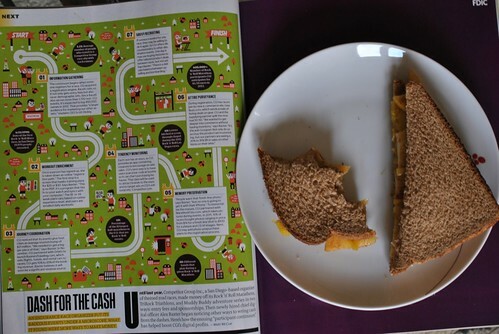 So, I cook, to save money, calories and to practice. However, unless you have single serving sized pots and can figure out a way to just buy a single stalk of celery or 1/8th of a squash, whatever you end up making will most likely feed about 4 people. Which then just means, you are eating that one dish for lunch (or dinner) for the next four days. I love chili (which I can always feed way more than 4 people with), but after day 5, I’ve had enough. So, when I randomly decided to buy a small acorn squash at the farmers market a couple of weeks ago, I really hoped I liked acorn squash, because I was going to be eating a lot of it. To help break the monotony of a singular dish, I decided to keep the prep of the squash simple so it can be incorporated into a couple of different things. Besides, as I was perusing the internet for ideas of what to do with Acorn squash, most of them involved a ton of butter and sugar. Not for me! So, low and behold, Acorn Squash, two ways, 4 meals. 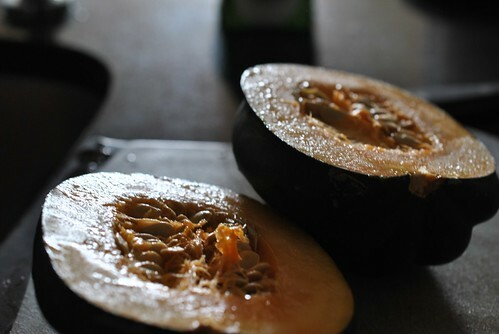 First, I had to roast the squash to make it usable and edible. I preheated my oven to 400degF. I very carefully took the top of my big chefs knife and pierced through the squash till I hit about the center, then I carefully started cutting around the squash to cut it in half. Careful when trying to cut it in half. 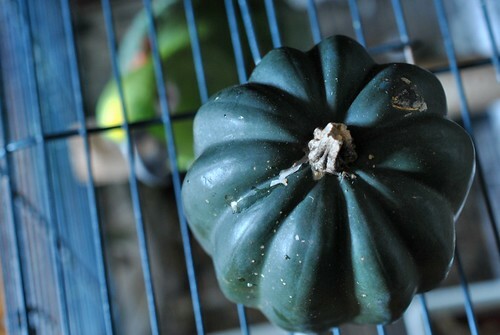 It’s a squash with a slippery skin that knives like to slip off of. 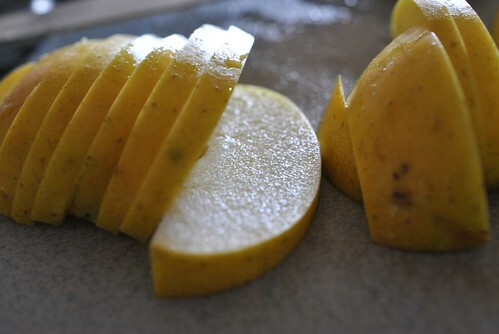 Scoop out the seeds of the center, then drizzle some extra virgin olive oil over the flesh and season with kosher salt. 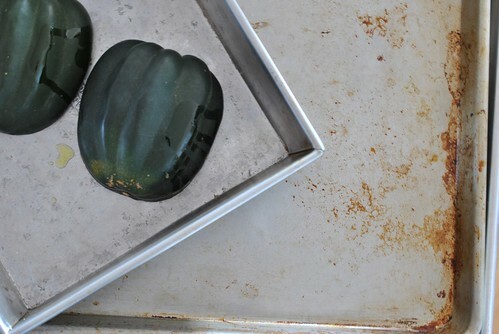 Put the halves Into an 8×8 baking pan, cut side down and into the hot oven it goes for 20 minutes. After 20 minutes pull out the pan, and very carefully flip them over so they are now cut side up. My squash was making some weird hissing noises when I put them back in the oven like this, so I ended up pouring just a little water into the pan. About 20 minutes later, check on them again and see if a fork poked into them goes through. If it does it’s done. If it doesn’t, keep going. 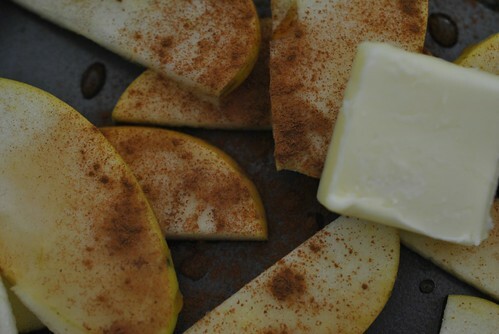 While the squash were roasting away, I also sliced up an apple (an old Sun Crisp that needed to be eaten) and tossed the slices in some cinnamon and maple syrup in another baking pan. Then I added a slice of butter and threw the pan into the oven. After about 10 minutes, take them out and toss. If the apple slices are at the firmness of your liking, then you’re done. If you want them softer, back into the oven they go. 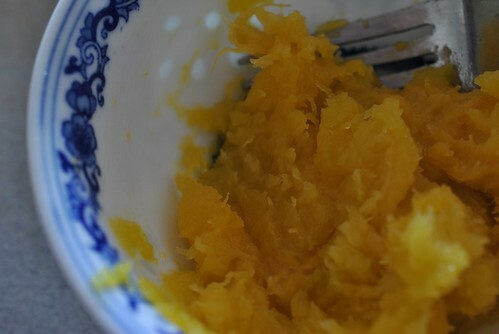 Once the squash was done and cooled enough for you to handle, scoop out the insides and smash with a fork. Voila! Acorn Squash is done! With this, the first thing I made was lunch. I toasted up two slices of bread with some butter, pumpkin pie spice and Cayenne pepper in the oven with the residual heat. 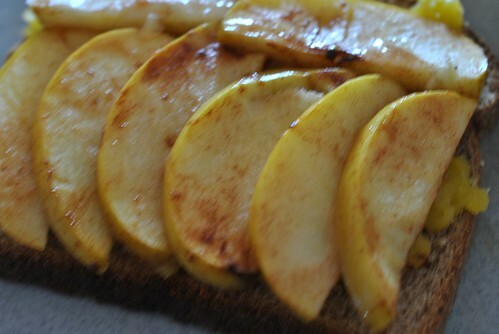 On each slice, I then spread some of the mashed acorn squash and topped it off with some of the apples. That was good. I was bit generous with the Cayenne pepper, so it definitely had a little heat to it. But otherwise, with the warmth of the spices and sweetness from the apples, it kind of tasted like Thanksgiving. 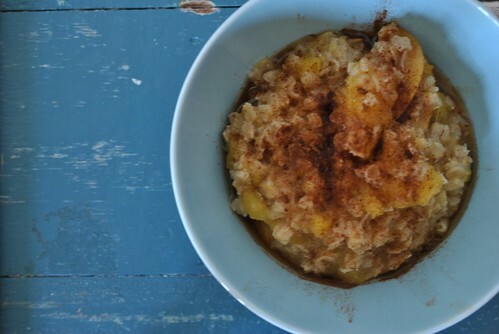 The next morning I made some oatmeal with the leftover squash and apples. 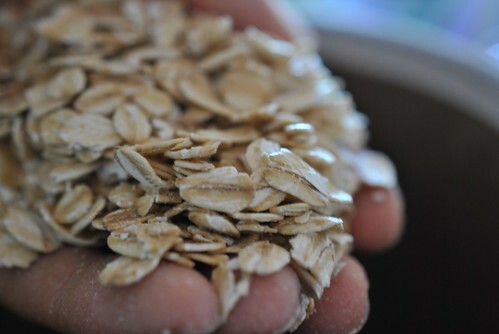 I made oatmeal as usual, except a little more so I can have some for breakfast the next day. 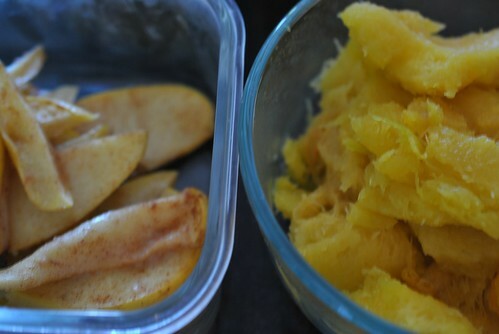 As the oatmeal was cooking, I added the rest of the squash and right before it was done, I added in the apples. Topped off my oatmeal with some cinnamon and maple syrup, and breakfast was served! I actually had enough for two days of breakfasts, so I packed those up and plan to reheat them in the microwave at work (with a spot of milk or water, to thin it back out a bit) and top with sliced almonds. No excuses for missing breakfast during the week. The oatmeal was delicious. 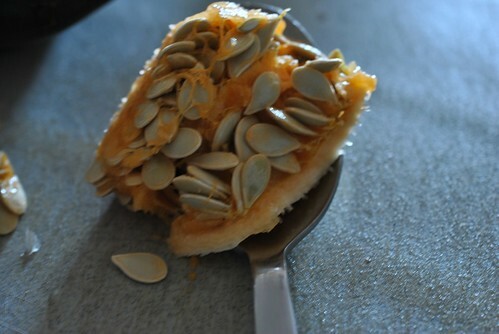 The squash by itself has a slight sweet taste to it. 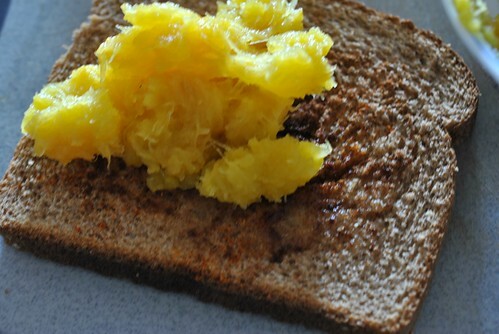 Not as much as a sweet potato, or as starchy, but similar. Texture wise, it worked very well with the oatmeal. It had a nice warmth to it that makes it perfect for a chilly winter day. 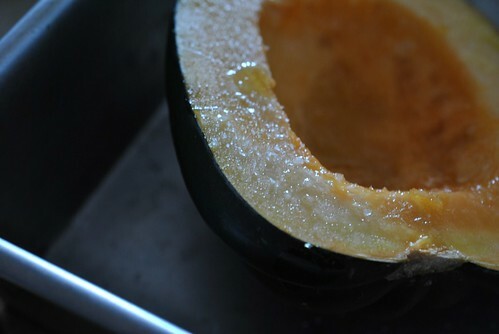 It also really reminded me of a sweeter version of this poor mans congee my mom used to make for me from leftover rice. When she makes a rice dish in a pot, the rice burns at the bottom of the pot and gets hard. So after the rice dish is done and scooped out, she uses that pot and essentially deglazes the bottom with water, more rice and yams and makes congee. 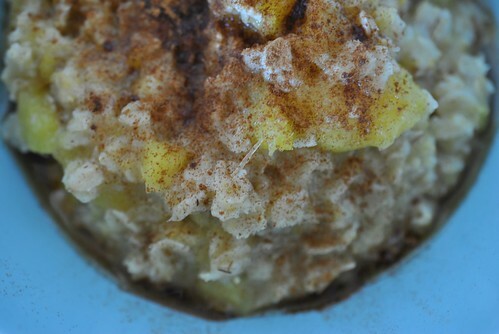 It’s one of my favorite things to eat, and this oatmeal kind of reminds me of it in an American version kind of way. 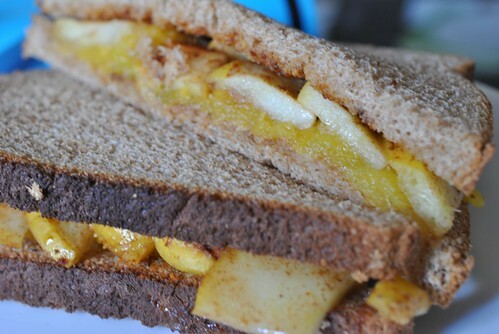 This entry was posted in Breakfast, Sandwich, Uncategorized, Vegetable and tagged Acorn Squash, Apples, Oatmeal, Single. Bookmark the permalink.